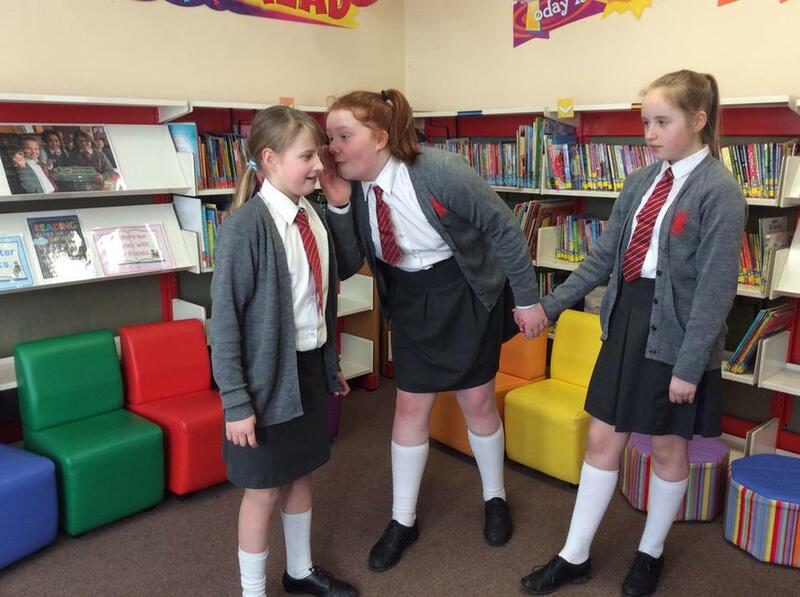 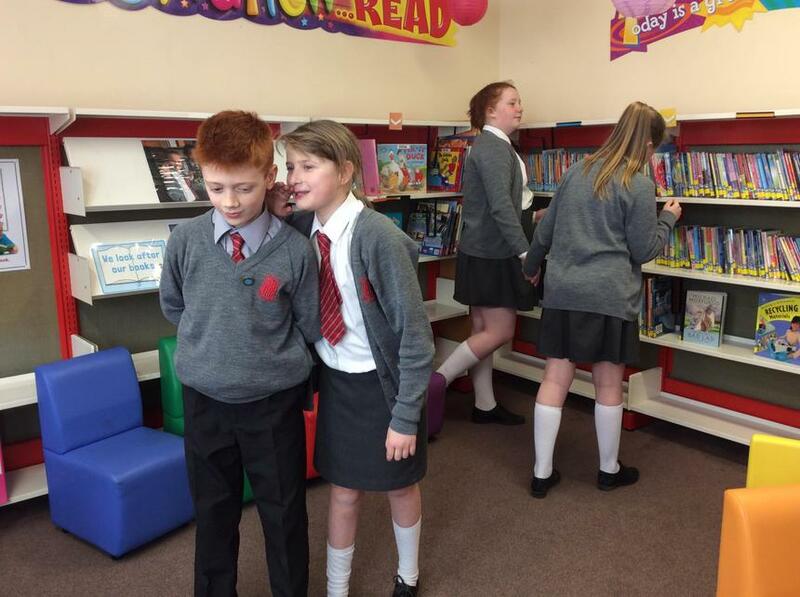 Swapping books to celebrate World Book Day! 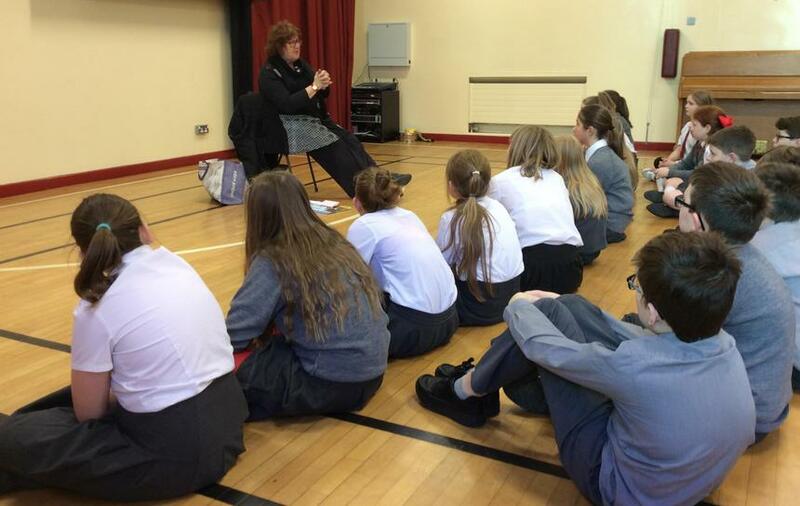 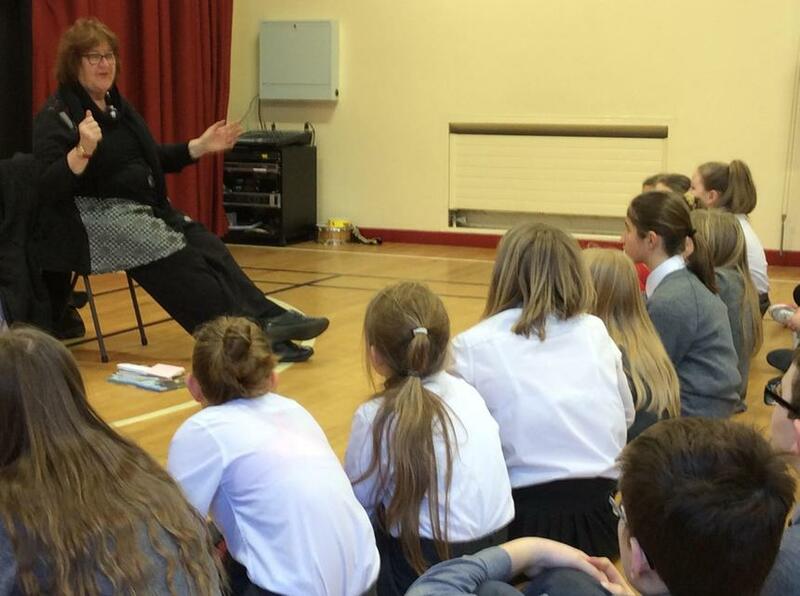 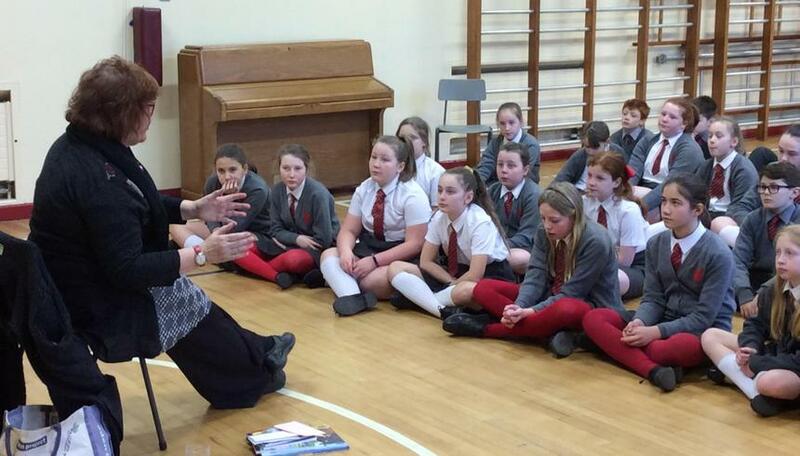 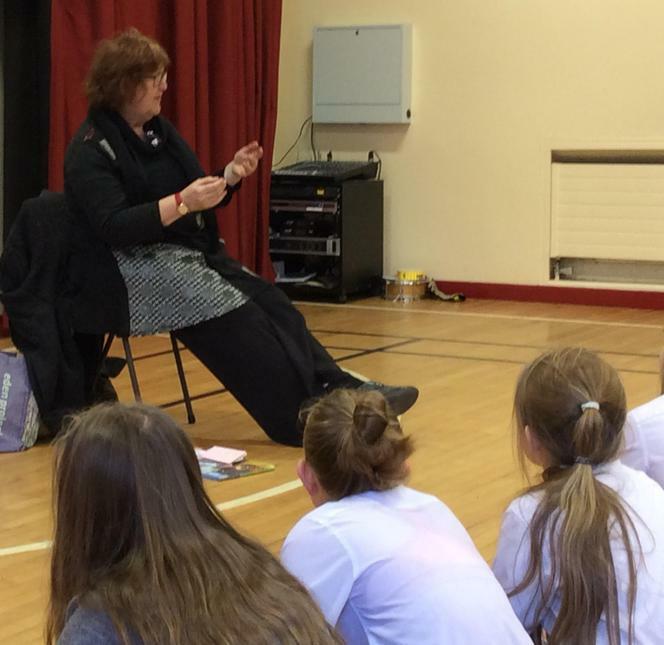 P7H pupils enjoyed a visit from local author Liz Weir. 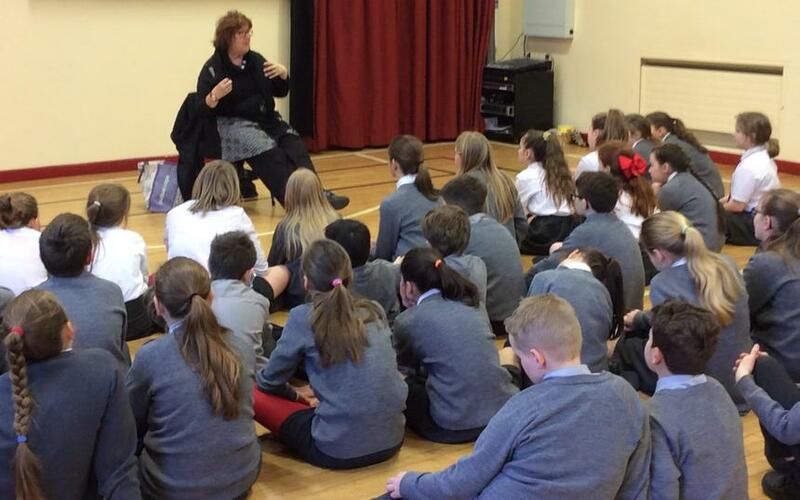 She talked to them about writing and what makes a good story. 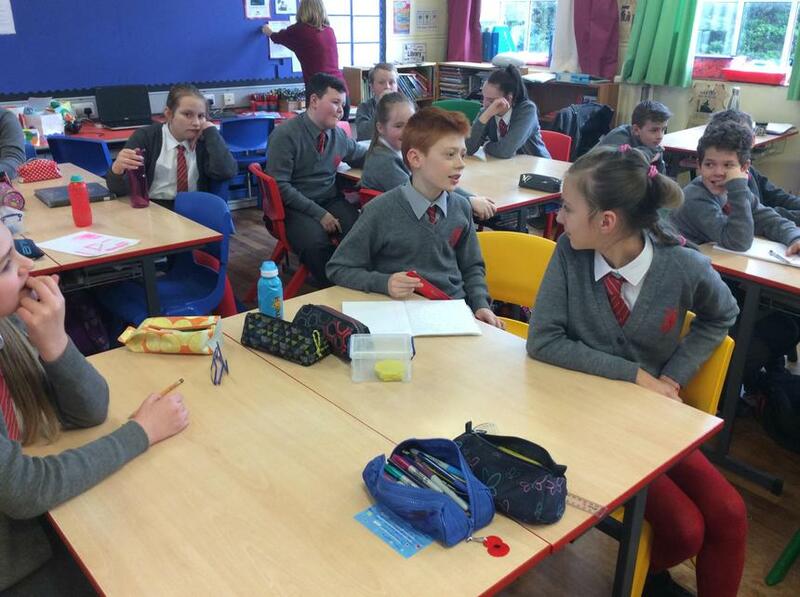 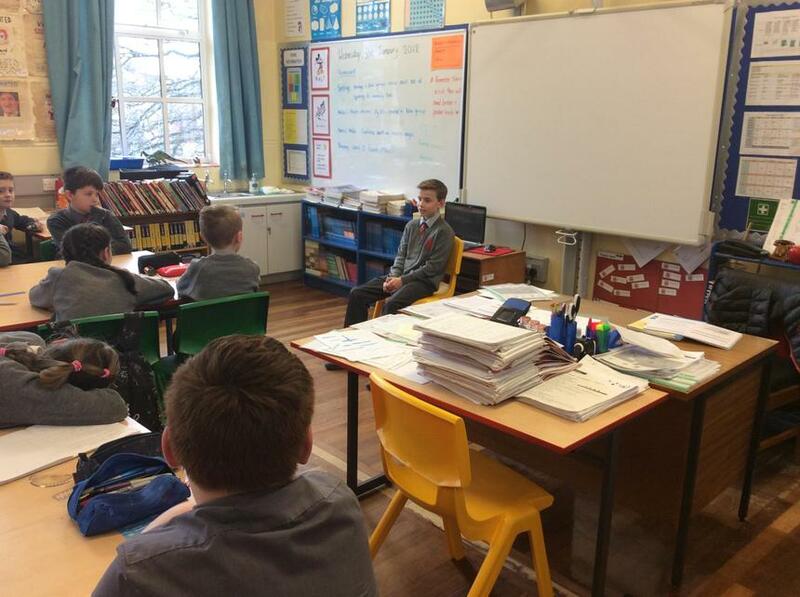 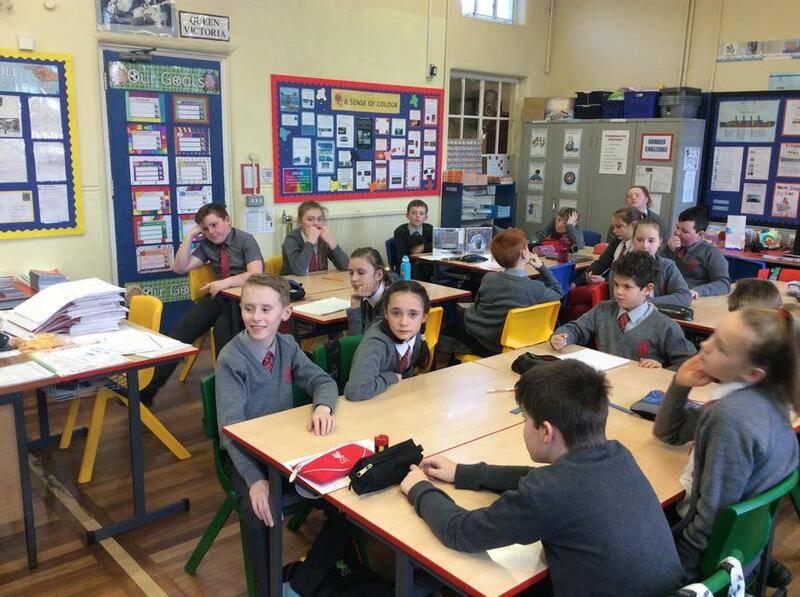 P7H pupils work in groups to prepare questions to ask well known passengers and crew who were aboard Titanic. 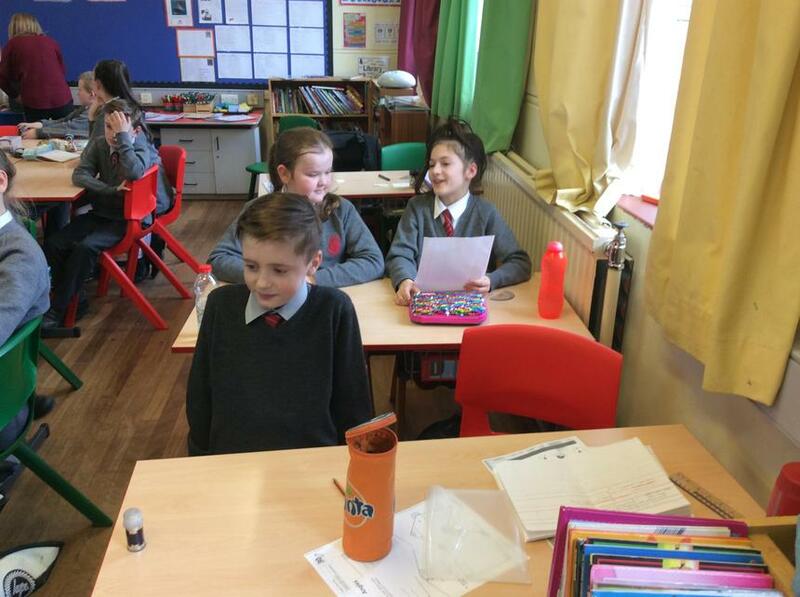 Some brave members of the class then took on the role of these characters to answer these questions. 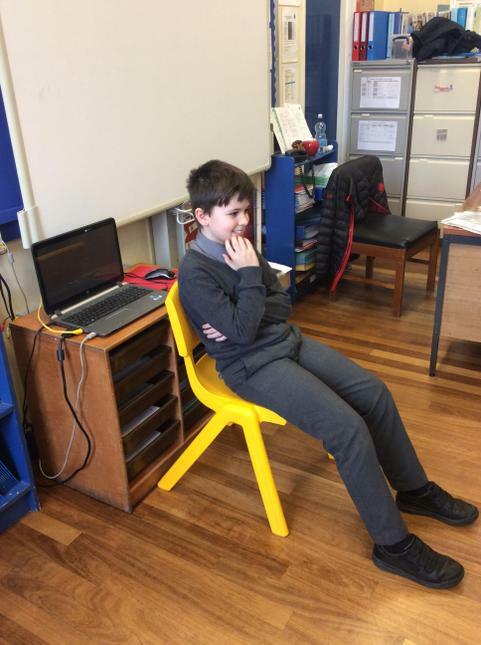 Primary sources of evidence are used as the pupils plan and write a biography about an incident in the life of Miss Herron's great uncle- Rifleman John Morrison. 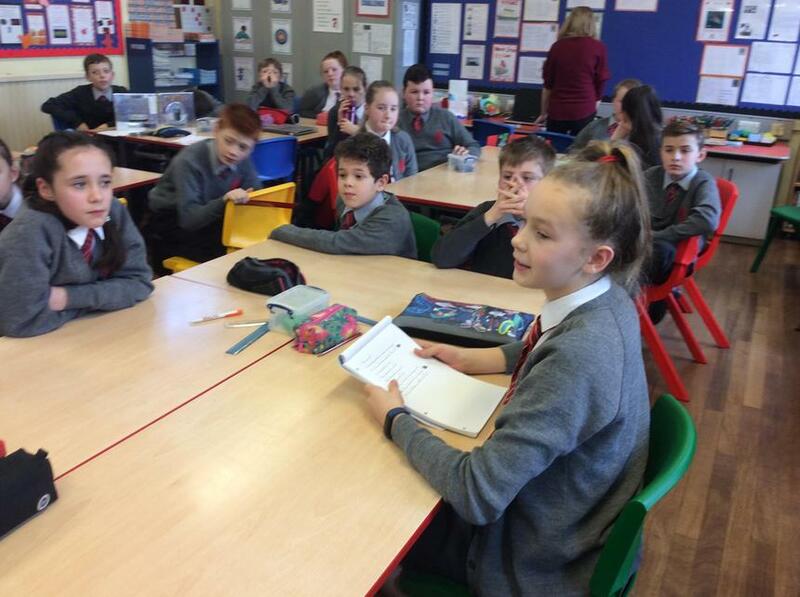 Poetry- shared writing. 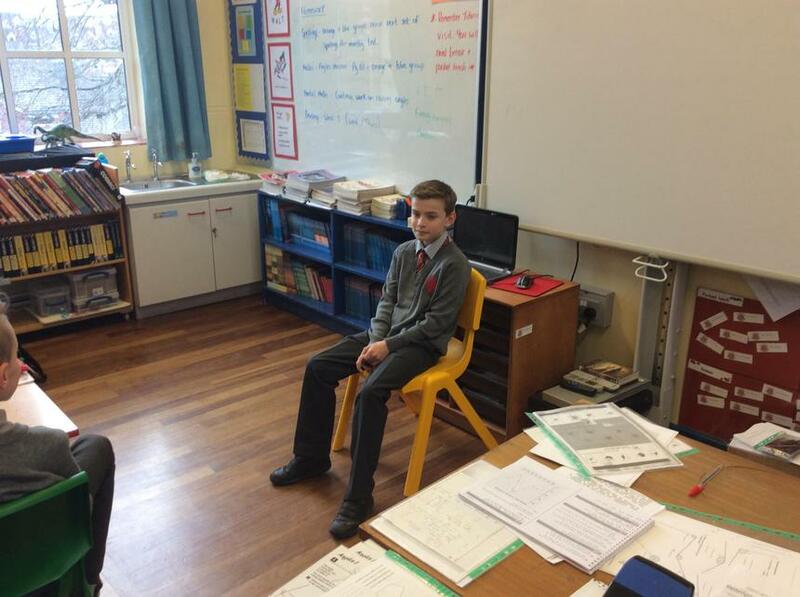 Pupils use the information they have learnt in this topic about powerful language to compose a class poem. 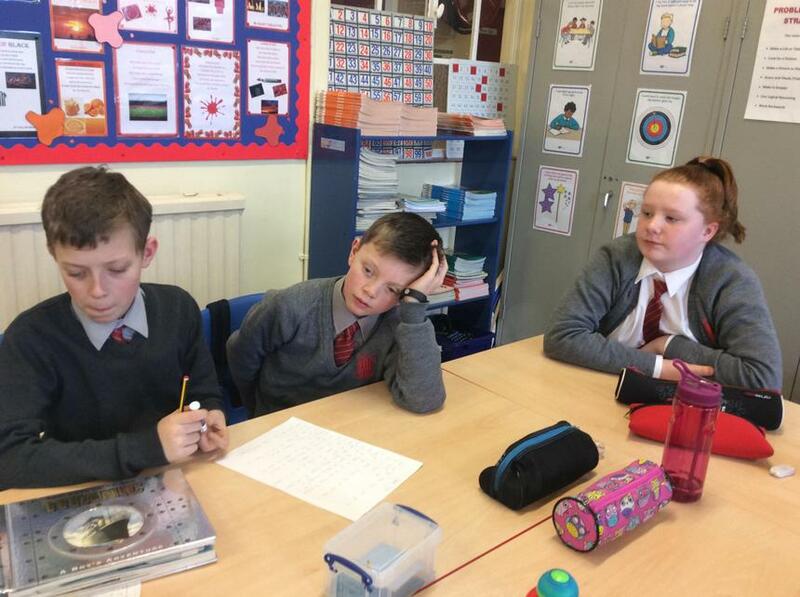 Pupils work in groups to think of ways to describe a sleeping puppy. 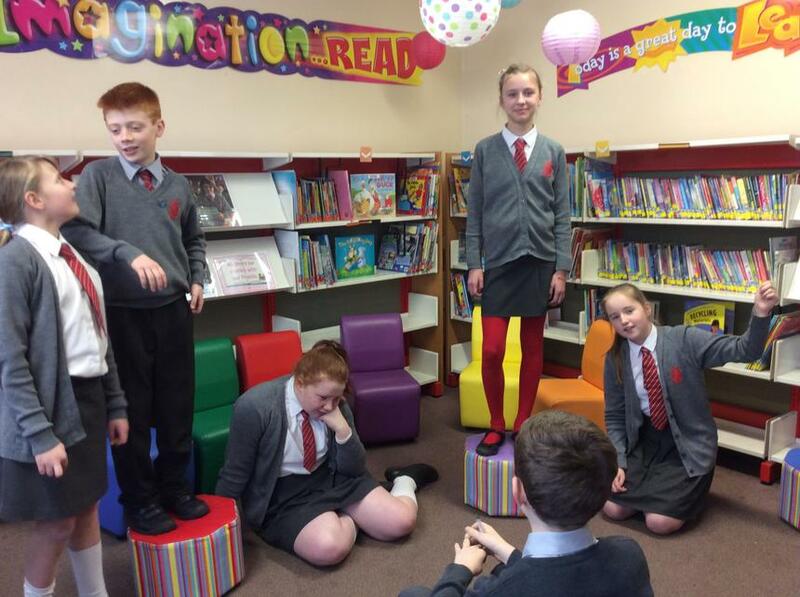 Ideas included similes, alliteration, metaphors and sound words (onomatopoeia). 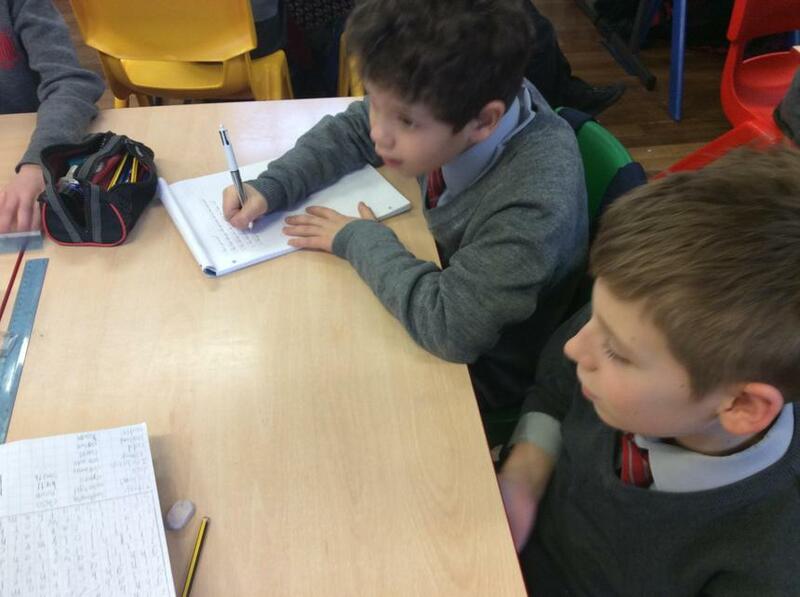 They then worked in pairs to write their own poems. 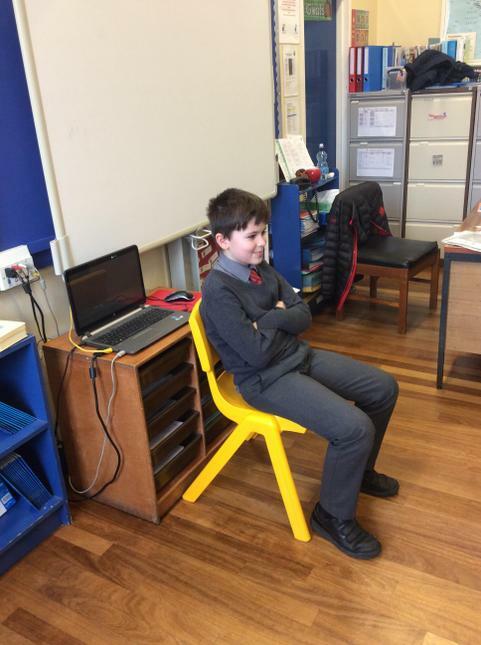 'The Woodpecker' by Ted Hughes. 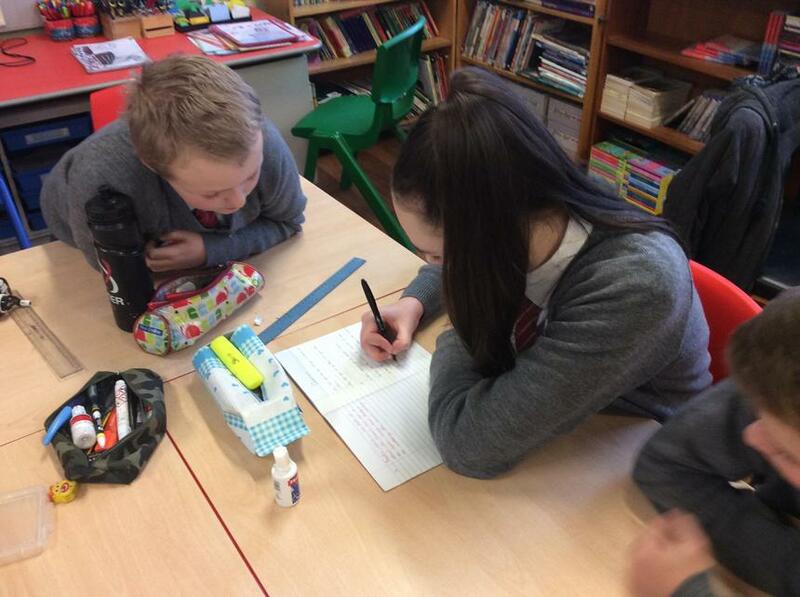 Pupils worked in groups to draft questions about the poem to ask the author. 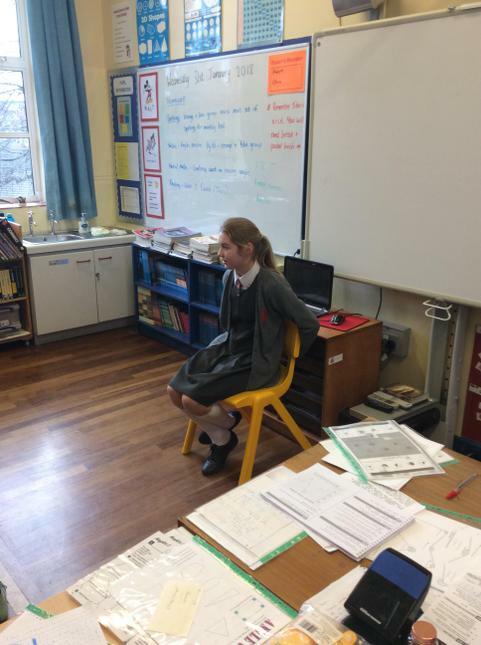 They then swapped with other groups who tried to answer the questions using evidence from the poem. 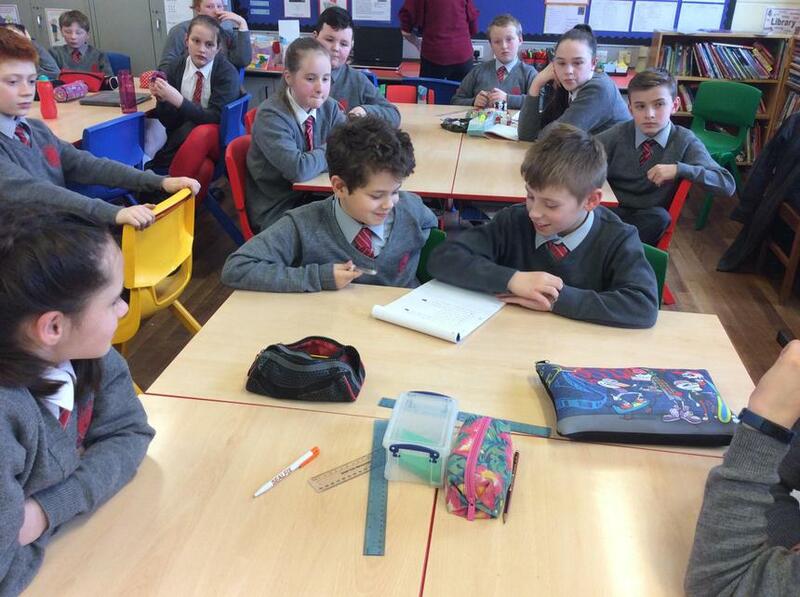 Talking Partners- Pupils work together to compare and contrast their opinions about Ted Hughes' poem 'The Warm and the Cold'. 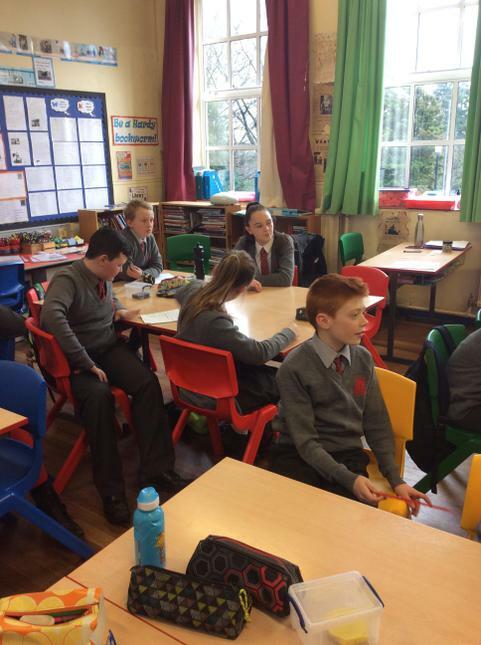 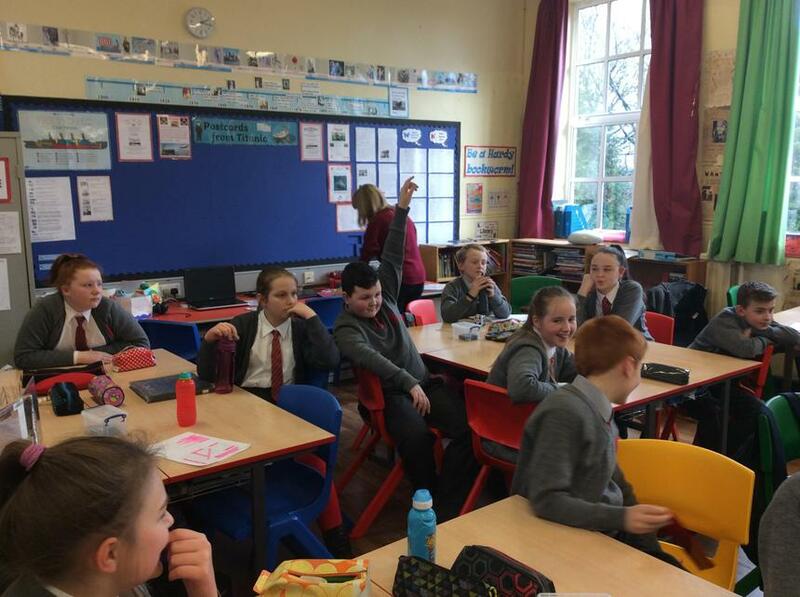 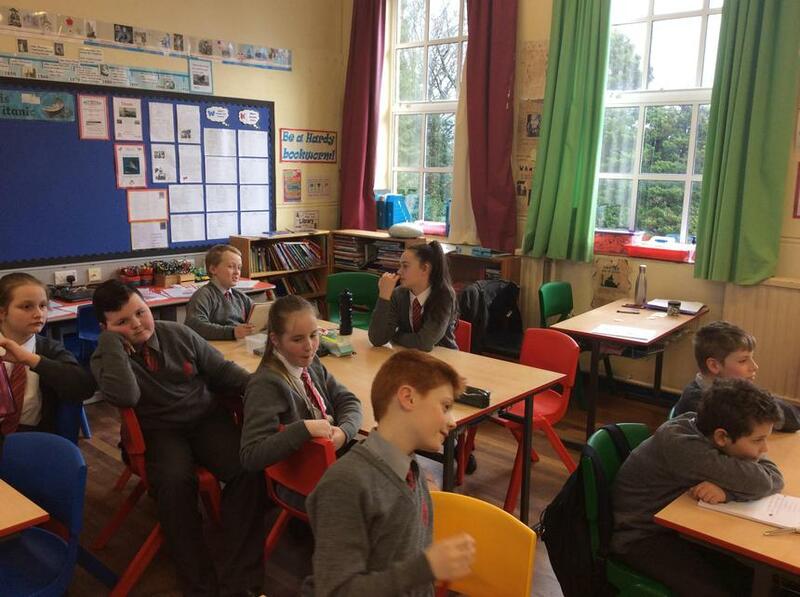 The Big Debate- pupils work in groups to discuss the pros and cons of the internet before reporting their findings to the rest of the class. 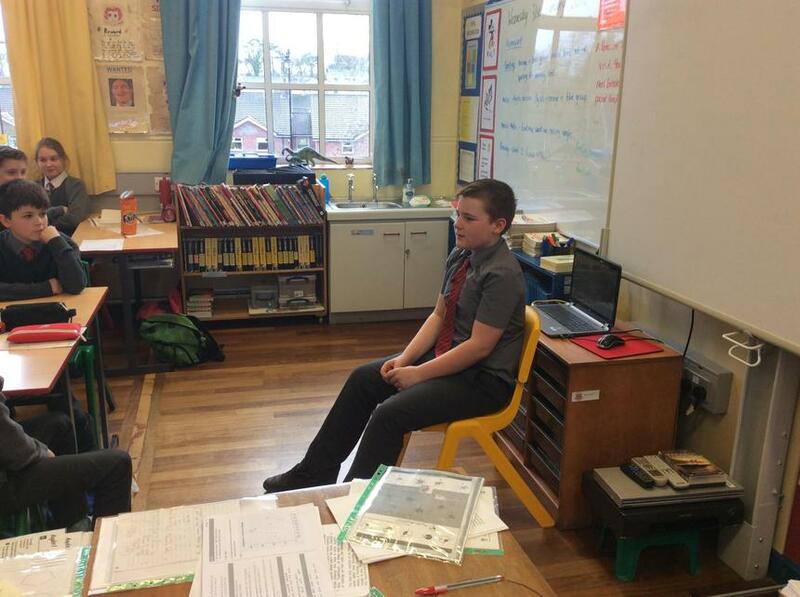 P7H made 'wanted' posters for famous villains from literature. 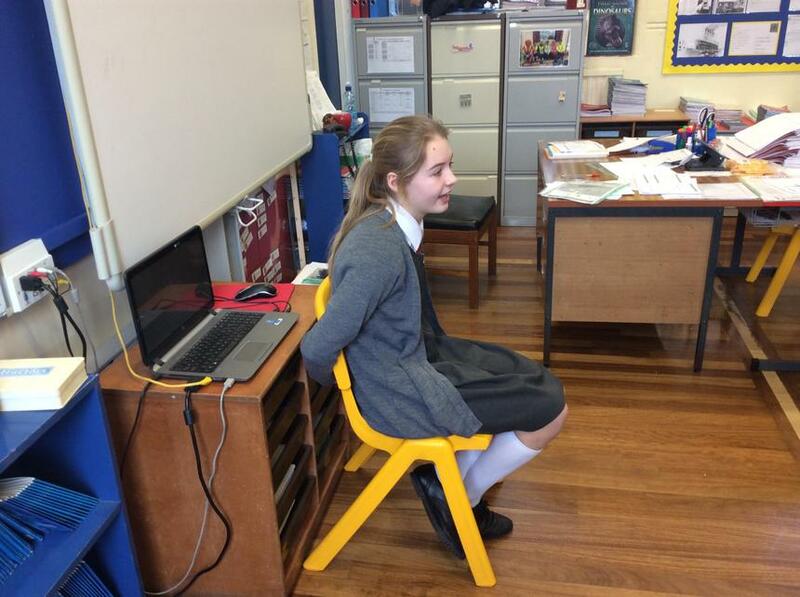 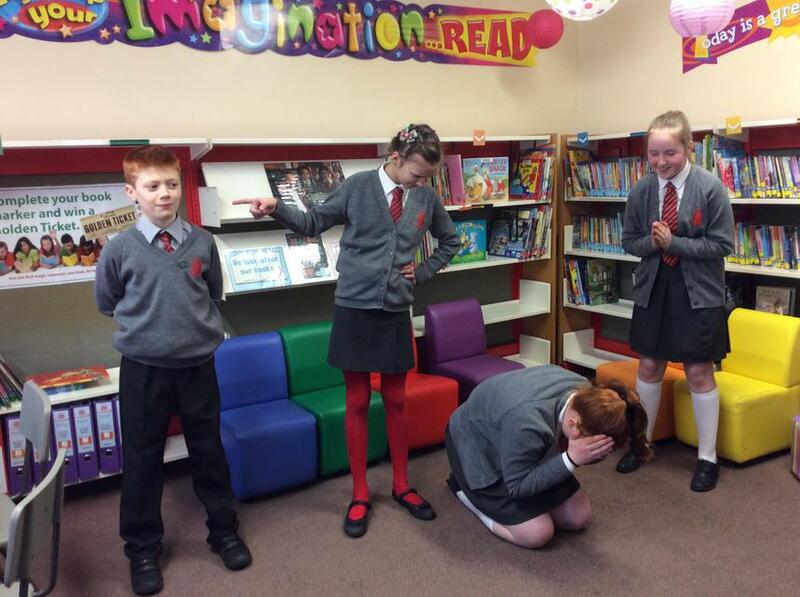 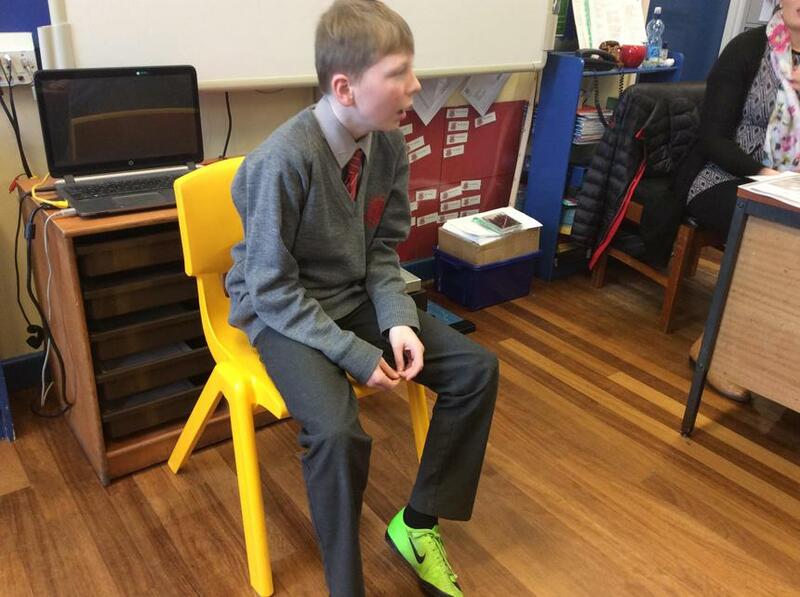 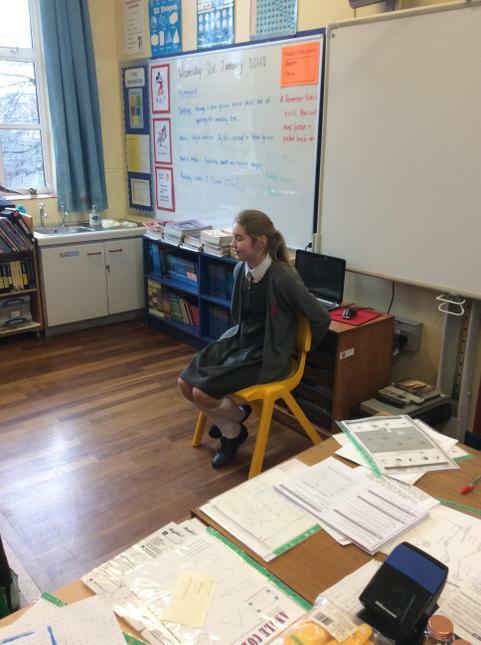 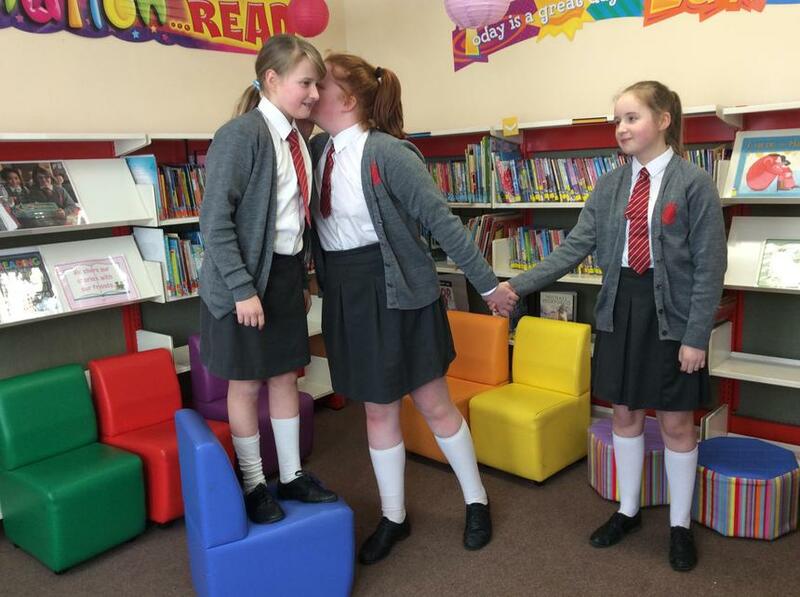 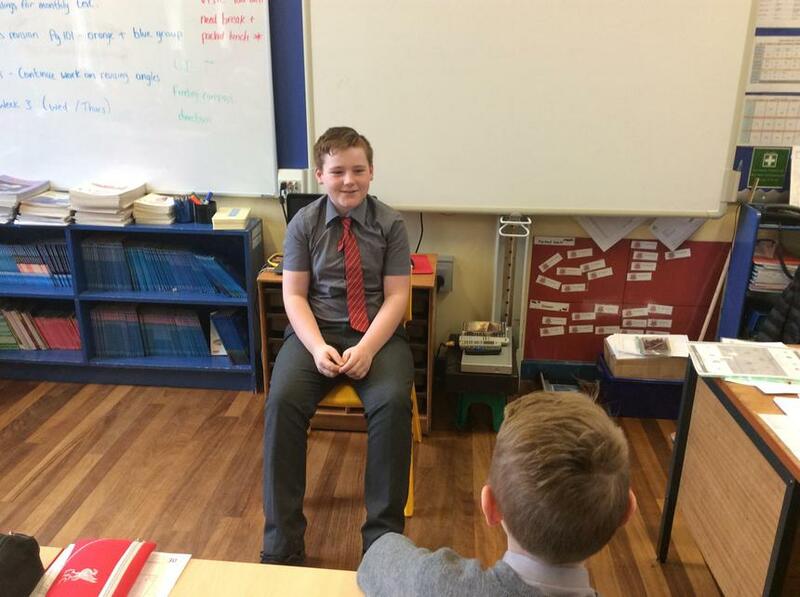 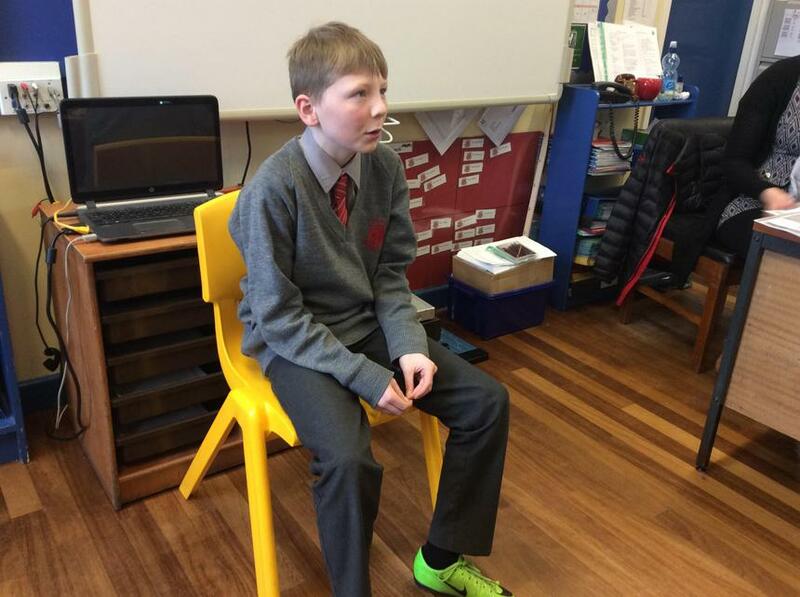 DRAMA- P7H demonstrate 'Inventions Then and Now' and discuss how they have changed our lives. 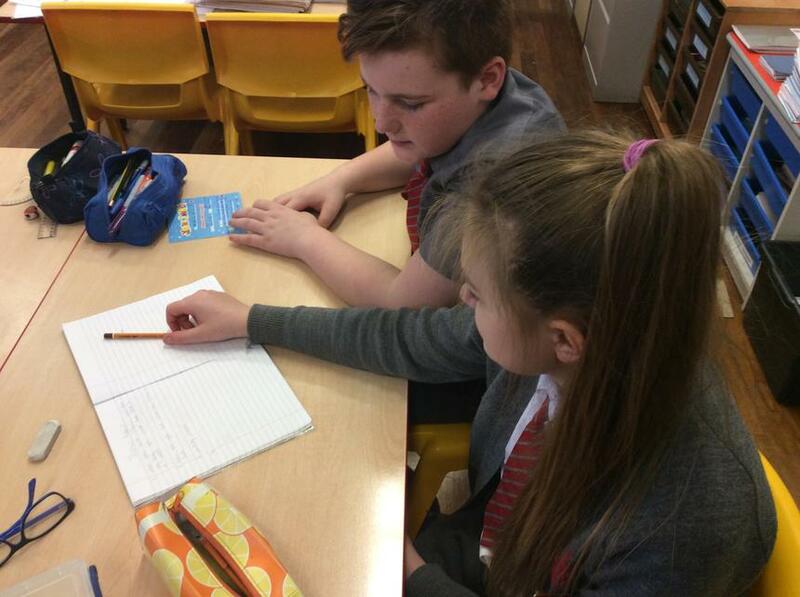 Paired work as pupils sort and classify inventions.